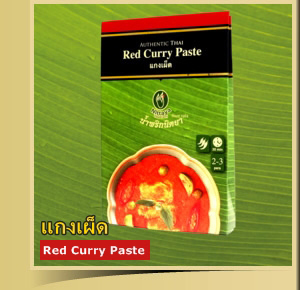 In 1964 Ms. Nittaya and her family created a unique Thai curry paste. From the early beginnings in the small family kitchen until now, Nittaya has become the popular choice with luxury hotels, airlines, top restaurants and still the family kitchen. Ms. Nittaya and her family have searched far and wide for the best ingredients. Years have been spent discovering the right blend of herbs and spices. The result is a perfectly balanced recipe. Nittaya's reputation is deservedly built on word of mouth, with many Thai households believing 'it is as good as making it at home'. At Nittaya, we appreciate and respect our elder generations for creating Thai curry. We feel that Nittaya, as a curry paste producer should preserve this priceless knowledge. We have brought production to a higher standard but our paste still tastes the same as 40 years ago. Thai cuisine like any other good cooking, is an art. There are many restaurants around the world that claim to be Thai restaurants. It is understandable that proper ingredients are often unavailable, but the foundation of Thai curry is in the paste, and is now widely available. A good Thai curry should have a good balance of herbs and spices.